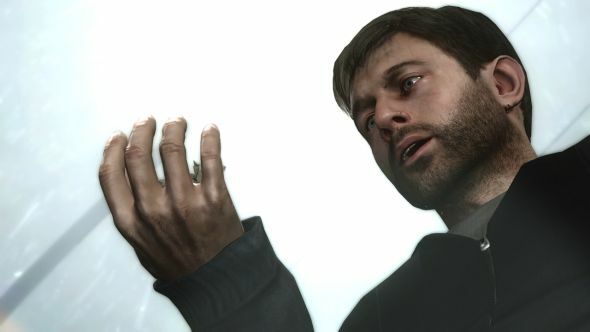 Say what you like about David Cage – and many do – but his games are nothing if not distinctive. Unfortunately for us on PC, they’ve been limited to PlayStation platforms… until now. The three PlayStation-exclusive games Cage has made with his current studio, Quantic Dream, are coming to our platform via the Epic Games store. That means 2018’s Detroit: Become Human, 2013’s Beyond: Two Souls, and the 2010 hit Heavy Rain. The three games will be exclusive to the Epic store for one year, after which it’s possible – though as yet unconfirmed – that they’ll make their way to other stores. The news was announced by Steve Allison, head of the Epic Games store, at Epic’s presentation to the Game Developers’ Conference today. It comes shortly after Chinese giant NetEase was revealed as a new minority stakeholder in Quantic Dream. The studio says it’s aspiring to a global audience, and investing in new tech to power IP that will release “on multiple platforms”. For those diehard PC loyalists who won’t even look at another console, David Cage is one of the few games designers so idiosyncratic that you’ve actually heard of him, like Hideo Kojima or Ken Levine. A divisive figure, his fans say he makes innovative games that push the boundaries of interactive storytelling, while his critics say his experiments seldom come together and the end result is either weird or boring.